i live in a little village called tel adashim, which is about 40 minutes from beautiful haifa, but i like to consider myself “living in haifa.” let’s just go with that. k? 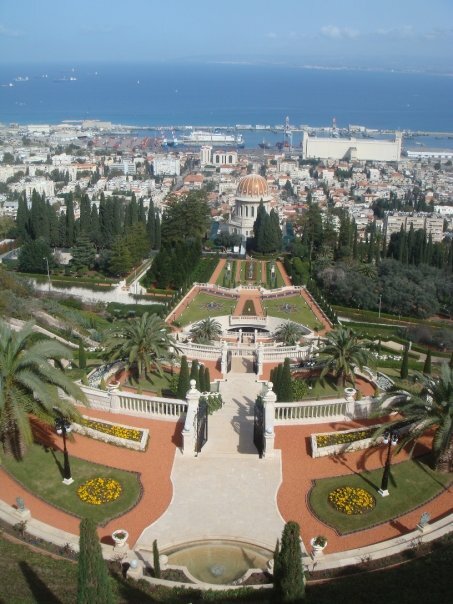 k.
the bahai gardens in haifa, near the port. originally posted this photo in this post. I don't know haw I haven't visited there yet, It looks amazing!